Quantum Jumps presents a radical new paradigm: that we exist in an interconnected holographic multiverse in which we literally jump from one parallel universe to another. In a moment you can become smarter... more confident... happier... more outgoing... more effective... in better relationships... with more willpower. Gain practical tools to achieve real change in your life. Leap forward to become happier and more prosperous, living the life of your dreams. Supported by scientific research, Quantum Jumps is an inspirational book backed with practical tools to help you live a happier, more prosperous life. Quantum jumping is an everyday experience for us each time we jump out of bed on mornings we'd rather not get up, or feel noticeable improvement when our mother puts a Band-Aid on our knee and "kisses the boo-boo better." Shamans utilize quantum jumping when they assist people with healing, and the ever-increasing "placebo effect" in modern-day western medicine indicates people are increasingly accessing parallel worlds where they are healthy and well. Feeling stuck in a dead-end job or relationship, or longing for a fresh new start in life? 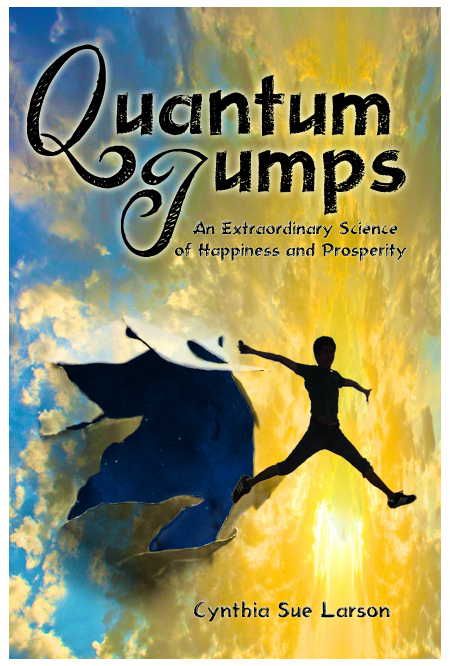 Quantum Jumping shows how if you can imagine or dream it, you can take a leap into a wonderful new world. Quantum jumps require both a flash of insight that a new reality is possible, and a burst of sufficient energy to make the leap. Those decisive instants when we feel simultaneously energized by knowledge of a better reality and inspired to act are the moments that we make quantum jumps. We are living at the dawn of the Quantum Revolution when, for the first time, a majority of physicists surveyed confidently assert that you and I and every physical thing exists in a superposition of states. In simpler terms, this means our leading experts on reality are telling us that there are as many possible you's as you can even imagine... and then some! Rather than 'manifesting' things, or bringing things into your life, the entire premise of quantum jumps is that it's possible for you to make quantum jumps to a reality you will enjoy. The idea behind making quantum jumps is that in order to live a different life, all you need do is first imagine it, then meditate silently and quietly until you attain a state of being detached from all thoughts and feelings. When you sense a new connection to another possible you living the life you'd prefer, immerse yourself naturally into that new state of being. And voila! You've made a quantum jump. Life will likely feel pretty much exactly the same, with similar daily activities, and any time you doubt or worry a change has occurred, return to a meditative state of quiet and reconnect with new reality you are selecting for yourself. Does this process seem too simple to be true? Numerous recent studies in the fields of psychology, biology, and physics show positive results for those who 'fake it 'til they make it,' by dressing for success, adopting confident body postures, and taking placebo prescriptions, surgeries, and subliminal cues. Far from being unnatural, forced or phony, testing out possibilities until we find our way through to the one we like best seems to be the way nature designed plants and animals. The process of photosynthesis in plants appears to depend upon the efficiency of plants at the cellular level to try out all possible paths when absorbing and harvesting light energy from photons. The popular expression "quantum jump" is usually meant to describe a leap that is big--but to scientists, quantum jumps are tiny, discrete (indivisible), and abrupt. The idea of quantum particles is that they can exist in material form at one energy level or another, but not in between. When quantum particles have been observed to make a quantum jump from one state to another, scientists have watched them appear to blink on and off. The idea behind quantum jumping is that while we seldom consciously realize it, we are living in a multiverse of parallel universes that are unseen and unobserved by one another. When a quantum jump is made through a kind of handshake through time and space. this connection forms a bridge that allows someone experiencing a quantum jump to end up in another reality. The connection is so total that a person can literally walk into another place and time. While to the universe, both of "you" still exists, usually your awareness of who you are will coalesce on one reality, leaving the other forgotten and left behind. People more often experience walking into parallel worlds that are nearly--but not quite entirely--identical to the one they came from. In such cases, you may find something has seemingly shifted in some startling way. A door or building may appear where one had never been before, or you might notice something as simple as your keys not being where you know you put them ... and then find them in a very odd place with no apparent explanation. The word 'quantum' was coined in 1900 by the German physicist Max Planck who clearly understood the implications of this scientific breakthrough. It has taken a century for the rest of the world to catch up with him, but the 'Quantum Age' has finally arrived. Cynthia Sue Larson understands its implications for our everyday lives--for how we can make wiser decisions, how we can relate better to other people, how we can manage our careers more effectively, how we can use our dreams to provide insights, and even how we can use 'quantum jumping' for self-healing. Larson's readers might start reading this remarkable book thinking that theoretical physics is beyond their comprehension. But the examples, the exercises, and the lucid writing style will not only prove them wrong but will shift their view of reality and the role they can play in constructing it. The twenty-first century will be remembered as the era in which quantum physics, biology, and consciousness started shaking hands. We now know that 'quantum' is no longer limited to the invisible, subatomic realm, but involves our everyday world and our own mind. Cynthia Sue Larson's QUANTUM JUMPS is a daring, adventuresome, delightful romp in this territory. This book proves that physics can be fun. Written in sparkling, clear language, QUANTUM JUMPS will inspire anyone toward a more fulfilling, effective, and happier life. Highly recommended! Cynthia Larson's new book QUANTUM JUMPS offers her latest insights into using the quantum metaphor to explain a number of human experiences that go beyond what we would normally call 'normal.' She writes with clarity, vision, and offers hope and encouragement to those who often fear such experiences that go beyond accepted norms of existence. In QUANTUM JUMPS, Cynthia Sue Larson illustrates how "quantum jumping" can greatly transform our everyday lives, bringing fresh new perspectives and clarity through one of our most natural gifts--the imagination. We are expertly guided into the knowledge that through imagining a more meaningful life and quietly meditating to break free from discursive thoughts that often impede our progress, we can envision and access or "quantum jump" into a new paradigm of infinite possibilities and reconnect with the reality that we are connected to an eternal infinite source. This book is well written, easy to follow, and I highly recommend it to everyone who is seeking ways to live a more meaningful life. Multiverse, alternate realities and quantum physics have taken root in American consciousness. We know that the universe is bigger and more mysterious than we can imagine. Cynthia Sue Larson is the first writer to provide a manual to allow us to experience the truth of the new physics. Better yet, Cynthia shows us how to manifest new positive realities that are surrounding us. She shows us what to do to make our Quantum Jump to these higher orders of reality. Her work is an amazing achievement and a stellar addition to the field of mind-body research. Cynthia Sue Larson's signature ability to convey the exquisite elegance of the spectrum of reality is replete in this volume called QUANTUM JUMPS. A brilliant blend of science and spirituality, possible and probable, QUANTUM JUMPS will catapult the reader into a whole new view of potential and remind us that we've always occupied this fantastic world of quantum reality, but it is now that we must act upon it! I highly recommend this delightful book to anyone needing a verifiable record of the miraculous, mystical, and magnificent. You will not want to put this book down! Cynthia Sue Larson has an exceptional gift of putting in writing what most of us outside the physics world would categorize as unknowable. Her newest work, QUANTUM JUMPS, is no exception. Through science, stories, and Q&A dialogue, Cynthia not only provides the reader with an understanding of quantum concepts, but also practical ways to jump into new realities. Cynthia demonstrates that we are the ones who determine "How good can it get?" through our beliefs, attitudes, and actions. This book is one you will want to keep and return to as you reflect deeper on the concepts. I highly recommend QUANTUM JUMPS to all who desire to move out of "stuckness" and jump into a state of well-being! How are Quantum Jumps Possible? Consider the idea that many times -- possibly even every time--you make a decision or choice, you are actually moving between alternate realities--between parallel worlds. In those alternate realities there are so many other possible "yous" which you can connect with so strongly that the conscious awareness and energy that is you literally moves into that other reality. When feeling so strongly connected to another self in a different reality, it is possible to gain direct access to the knowledge available only in that time and space, and to experience an entirely different self. What makes quantum jumping possible is that, like a quantum particle, a person has the ability to exhibit quantum behavior. 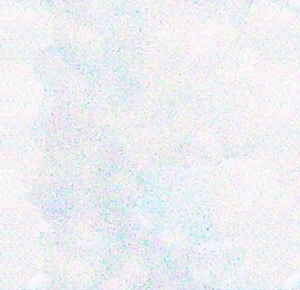 While it is extremely improbable that you will often be able to do some of the things quantum particles do--such as tunnel through solid barriers, or make quantum jumps to other alternate times and places -- our current understanding of physics suggests such things are within the realm of possibility, and can be expected to occur. When someone says I'm faking it 'til I make it, they might well be envisioning themselves as being an entirely transformed person. A person who wants a promotion can thus emulate the dress, speech, behavior, self assurance and posture of someone at the next level up, to be considered deserving of a promotion. You've probably heard of self-fulfilling prophecies, and how athletes practice visualization of perfect performance in order to get the best results. Everything is made up of quantum material at its very core, and the idea behind quantum jumping is that it's possible to jump to an alternate reality in much the same way that an electron dematerializes at one orbital level and reappears at another. The basic principle behind quantum jumping is based on combining some ideas about behavior of the very smallest quantum particles from physics. Quantum jumping can be envisioned as occurring in a multiverse of many alternate realities, in which each one of these realities exists another possible 'you' that you are connected to. Just as electrons can make energetic leaps from one energetic level to another, people can quantum jump through alternate realities to experience dramatic shifts in physical reality. Anyone who can relax, clear their mind, and envision being different in some way -- such as more successful, funny, healthy, wealthy, or wise -- can quantum jump. When making these kinds of quantum jumps, one can feel immediate benefits from such positive thinking.